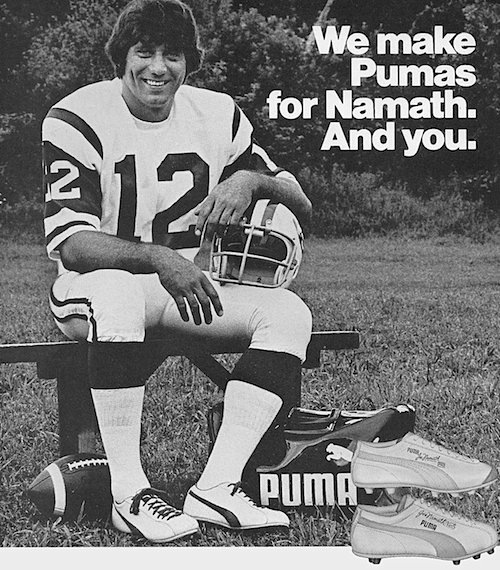 We make Pumas for Namath. And you. Football shoes. Really great football shoes. The kind that help the pros and your players score. 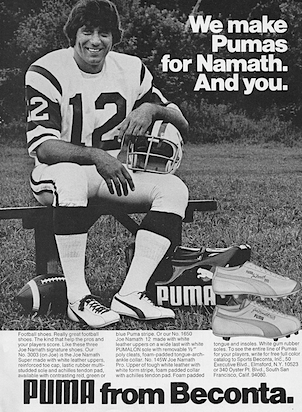 Like these three Joe Namath signature shoes. Our No.3003 (on Joe) is the Joe Namath Super made with white leather uppers, reinforced toe cap, lastic rubber multi-studded sole and achilles tendon pad, available with contrasting red, green or blue Puma stripe. Or our No. 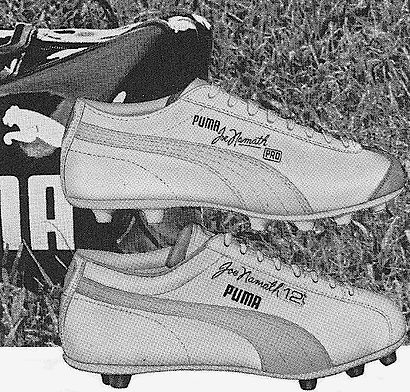 1650 Joe Namath 12 made with white leather uppers on a wide last with white PUMALON sole with removable 1/2″ poly cleats, foam-padded tongue-arch-ankle collar.